South-west France - where exactly is this? A lot of people talk about the south-west of France when looking for property. The beauty and history of this part of the country are legendary, and its cuisine as famous as its traditions. The Basque and Catalan cultures are thriving, and even have their own living languages. If you take a map of France with its familiar hexagonal shape, it is easy to draw a line around the three regions that make up the south-west of the country. They are, working from the most westerly: Aquitaine (Aquitaine Property Guide), which includes the Atlantic resort of Biarritz and the famous wine lands of Bordeaux; moving to the Midi-Pyrénées (Midi-Pyrénées Property Guide), with the lovely rose-coloured city of Toulouse; and finally, Languedoc-Roussillon (Languedoc-Roussillon Property Guide), which neighbours Provence and takes in a fair stretch of the Mediterranean coastline. We talk about the south-west of France as one entity, but what diversity it possesses. Sweeping changes can be found within this area as one travels from the Atlantic Ocean (The French Atlantic Coast from Biarritz to Southern Brittany) to the Mediterranean Sea, from the mountains that separate France from Spain, to the soft rolling hills of the Gers and the craggy peaks of the Ariège. If you are considering buying property in this part of France you need to consider your requirements carefully. What is important to you? Are you a sportsman (Sport in France)? A skier, a surfer or snowboarder? A fisherman (French Properties with Lakes) or cyclist? Perhaps you have a taste for the finer things in life, with gourmet foods and fine wines at the top of your list. Maybe your desire is to live in a buzzing, cosmopolitan city rich with heritage, culture and architecture, or it could be that your hearts desire is to swim every morning in the warm waters of the Med. Make your decisions carefully, for there is lot of property to choose from within France's fabulous south-west. The Aquitaine region is our starting point, as it is both the most northerly and the most westerly region in the area under discussion. Running down the Atlantic coast from the Gironde estuary we have the department of the Gironde (33, Gironde Property Guide), followed by the rural Landes (40, Landes Property Guide), and then south of here the department of Pyrénées-Atlantiques (24, Pyrénées-Atlantiques Property Guide), which takes you to the Spanish border. Aquitaine also stretches east to encompass the ever popular Dordogne (24, Dordogne Property Guide) and the historic Lot-et-Garonne (47, Lot-et-Garonne Property Guide). The different departments of Aquitaine will necessarily attract very different types of people. If you know what you want from your new French life (Life in France), then consider the five departments of Aquitaine carefully before making your decision about buying a property. If you are attracted to an area where there is already a large ex-pat presence, where the hard work of being a stranger in a foreign land has already been done for you and where you will find it relatively easy to access British goods and English speaking services, then consider the Dordogne for your property purchase. This department is extremely pretty, with lush green valleys, beautiful rivers and cool dark forests. It is said that no less than ten percent of France's chateaux are situated in the Dordogne, so you will never be short of atmospheric sights to enjoy here, should you buy property in this area. Is there a downside to owning property in the Dordogne? The area has become extremely popular not just with British ex-pats and holiday makers but also with many other nationalities, so although the countryside and architecture are quintessentially French, the culture is now somewhat cosmopolitan! If it is fine wine that floats your boat, then there can be hardly anywhere finer for you to buy a property than in the Gironde. Miles and miles of superb vineyards give rise to many of the best wines in France, and the city of Bordeaux (Bordeaux Property Guide) provides a sophistication that may be lacking elsewhere in the region. The climate is mild and warm, the coast and estuary beautiful and interesting with abundant wildlife and sporting opportunities. A land divided into two parts by the lovely Garonne River, the Lot-et-Garonne department has a strong appeal for those property buyers who want the best of all worlds. It is close enough to the Atlantic to allow reasonably easy access, yet is also in a convenient position between Bordeaux and Toulouse (Toulouse Property Guide). Although, as the department is popular with overseas buyers as well as with French nationals, property prices are fairly high. Many of the desirable renovation projects (House Renovations in France) have now been snapped up, but if you are seeking a home or holiday property in an area that holds its price and provides a wonderful quality of life, then look no further. The department is known for its attractive and distinctive bastide towns, its excellent markets and its traditional Gascon gastronomy... including the drinks, Armagnac and Floc de Gascogne. The Landes lies along the Atlantic coast, and is bordered on the inland sides by the Gironde to the north, the Pyrénées-Atlantiques to the south, with Lot-et-Garonne and the Gers to its east. The department is said to offer the best and wildest surfing in Europe, and is the home of the World Surfing Championships each year. Property seekers who will warm to the Landes are those who love the romance and power of the Atlantic Ocean, who revel in the beautiful beaches with their towering sand dunes, who like to walk and cycle in the cool, dark pine forests and, in general, who like their slice of France to be a little on the wild side! The last of the departments of Aquitaine is unique in France, being the "Pays Basque". The short coastline of the department takes in one of the most famous of the Atlantic resorts, that grand old lady of the ocean, Biarritz (Biarritz Property Guide). The ancient Basque culture gives a strong identity and the proximity to Spain offers possibilities for further exploration. Owning a property in this department would also be good for lovers of the mountains, as there is great access to the western Pyrénées for skiing and other mountain pursuits. The next region of south-west France to consider is the Midi-Pyrénées. The largest region in France, this covers the departments of the Gers (32, Gers Property Guide), the Haute-Garonne (31, Haute-Garonne Property Guide), the Lot (46, Lot Property Guide), the Aveyron (12, Aveyron Property Guide), the Tarn (81, Tarn Property Guide) the Hautes-Pyrénées (65, Hautes-Pyrénées Property Guide) and the Ariège (09, Ariège Property Guide). Once more there is huge diversity of countryside and culture within the region, and careful consideration should be given to each of the separate departments in order to find the prefect property for your individual requirements. The most northerly of the departments in the Midi-Pyrénées region include those of the Lot and the Tarn-et-Garonne. The Lot borders the Dordogne and shares some of its characteristics, but has not yet achieved the same level of popularity, so should the Dordogne appeal to you but you want to take advantage of lower house prices and less Brits in town, this might be the place to look for your property! The Lot is, however, perhaps more dramatic than the Dordogne, and has some amazing cliff top villages and prehistoric caves to explore. The Tarn-et-Garonne, on the other hand, will suit those property buyers who are seeking a peaceful haven, a beautiful and tranquil retreat from the pressures and noise of modern life. Rural and gentle, the sunflower-filled fields of the department hark back to a life lived at a less hectic pace, and is a delightful place to spend a retirement. Across to the east of the Midi-Pyrénées you can find the departments of the Aveyron and the Tarn. The Aveyron, which lies on the Massif Central, is full of history, with some of France's most beguiling towns and villages nestling amid spectacular scenery. The department would, perhaps, make an ideal home for sportsmen with taste for the unusual, as it provides a great environment for sports such as caving and hang gliding. Just to the south of the Aveyron lies the department of the Tarn. Named after the river that traverses it, this department has the historic cities of Albi (Albi Property Guide) and Castres (Castres Property Guide), and is brim full of interesting architecture and glorious landscapes. Who will love the Tarn and want to buy property here? Almost anyone, as the burgeoning ex-pat population is proving, but rugby union fans in particular will enjoy supporting the excellent local team of Castres! The climate here is also warming up, as you travel from the north-west towards the south-east of the region. The western part of the Midi-Pyrénées boasts the departments of the Gers and the Hautes-Pyrénées. The Gers, with the quaintly named town of Condom (Condom Property Guide) as one of its claims to fame, is a very attractive department, Gascon through and through. The culture and gastronomy of the ancient Gascon province (Gascony Property - an insider's guide) is still very much in evidence, and the richly fertile fields roll gently across vistas as wide as they are glorious. Property in this department will appeal to lovers of La France Profond, yet those with a taste for architecture and art can access this in the departmental capital of Auch (Auch Property Guide). The Hautes-Pyrénées, in the south-west of the region, is caught between the cultures of the Basques to the west and the Catalans to the east. 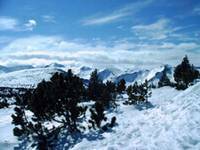 With its southern extremity touching the mountains that form a natural border between France and Spain, this department is excellent for those who love winter sports, and indeed, the summer sports associated with the mountains as well. The final offering from the Midi-Pyrénées is the department of the Ariège, placed to the south-east of the department, lying against the boundaries of the department of the Aude, in Languedoc-Roussillon, and also next to the international borders of Spain and the tiny tax haven of Andorra. Not only does the Ariège offer unrivalled access to Spain and Andorra, but it also has some of France's richest spiritual history, being at the centre of the Cathar mysteries, and featuring in the Da Vinci Code myths. The Ariège has truly spectacular scenery and some fascinating towns, some superb ski resorts and a well established ex-pat network already in place, although this is not so overpowering as in some areas of the country. The Ariège is for those who love the mountains, and properties with mountain views are relatively easy to come by here (Ski Chalets for Sale in France). Prices are also more reasonable than in neighbouring Languedoc-Roussillon, whose recent popularity is beginning to drive up property prices. The Gard, although better known than the Lozère, is in a sense another secret to discover. It borders the fantastically popular and famous region of Provence, and shares many of the qualities that make this almost everyone's dream property destination in France... yet without the crowds and the over inflated prices. If it's culture you desire, look no further than capital city Nîmes (Nîmes Property Guide), and for a slice of the Riviera lifestyle you only have to travel a short distance to Marseille (Marseille Property Guide) and beyond to the Côte d'Azur, beloved haunt of movie stars and the international jet set. But you may find that the Gard has interest enough to keep you within its own boundaries, as with its Cèvennes Mountains, natural parks and Mediterranean coastline, it seems to be a department that has a little something for everyone. Next we come to the Hérault, a department that is now very popular with British ex-pats and in particular, with writers and journalists. Indeed, this area seems to have the highest percentage of British writers living and working within its limits in all of France! The Hérault is very Mediterranean in feel, with extensive vineyards, olive groves and dry, dusty landscapes presided over by pine trees and Cathar castles. It has an amazing coastline, with inland seas or salt marshes that are bound to fascinate nature lovers as well as sailing enthusiasts. The Hérault has history, art and a Mediterranean culture that attracts anyone who loves the south of France. Its charming hilltop villages have a timeless appeal, and the prices are far more reasonable than across to the east, where you really need to be on the rich list to own any sizeable coastal property! Working our way south we come to the department of the Aude (pronounced "ODD"... but don't judge it by this!) with its capital city of Carcassonne (Carcassonne Property Guide), a traditional stronghold of the Cathars, and setting for much of the best selling novel, Labyrinth, by Kate Mosse. (That, by the way, would be Kate Mosse the novelist, not Kate Moss the supermodel!) The Aude reaches into the foothills of the Pyrénées, and its landscapes range from dramatic mountains and crevasses with their rushing white waters, to the golden sandy beaches of the Med, with its sophisticated resorts such as Narbonne (Narbonne Property Guide), offering a slice of the action for those who don't want to live the quiet life. Followers of the history/mystery trails of the Da Vinci code and other grail myths will find this the ideal setting for them, as the department contains the ultimate grail village of Rennes les Châteaux, said to have been the one time refuge of Mary Magdalene and the child of Christ. The very last department on our whistle stop tour of France's south-west is that of the Pyrénées-Orientales. This little department is pure Catalan in culture, atmosphere and colour. It has some of the prettiest fishing villages and beaches in southern France, and its light, colour and atmosphere have been a source of inspiration for artists for centuries. The Pyrénées-Orientales has mountain resorts for skiing, seaside resorts for summer sun and fun, beautiful historic villages, a wealth of vineyards producing fabulous wines and a reputation for fantastic fresh seafood. The anchovies of Collioure ( Collioure Property Guide) are legendary! Would buying a property here be for you? How could it not be? Property in south-west France - poor Man's Provence? There are some who would, perhaps churlishly, refer to the south-west of France as the poor man's Provence. This is to do it a great disfavour, of course, but if it were to be in any way true then pity the rich man, because he has missed out! Vive le sud-ouest!